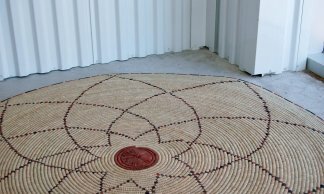 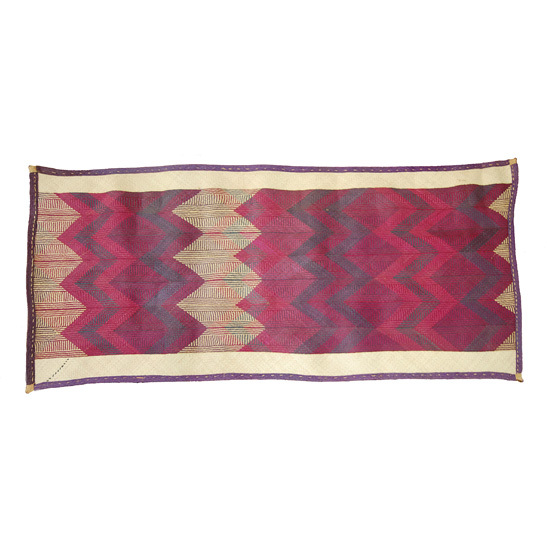 Purple zig-zags play across this natural fiber African floor mat. 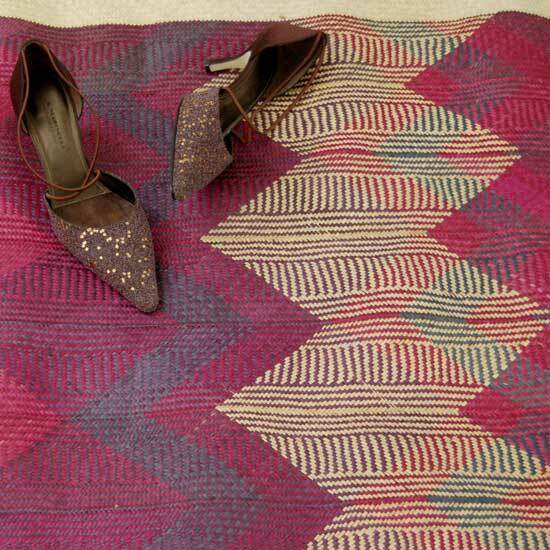 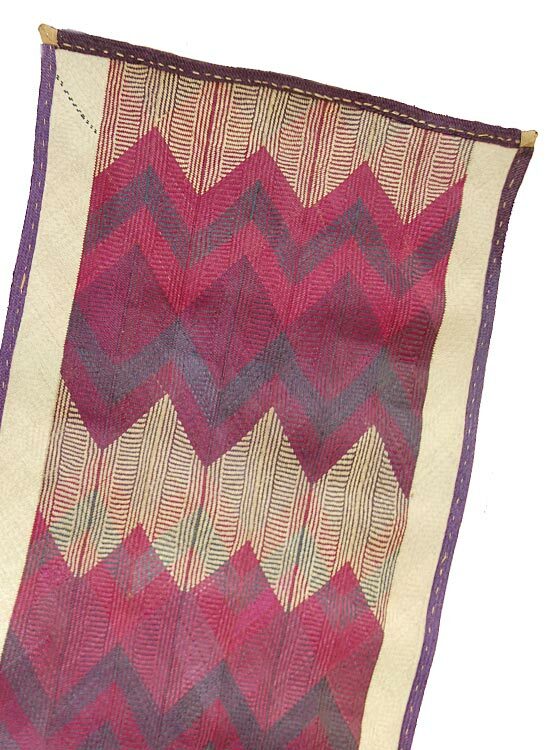 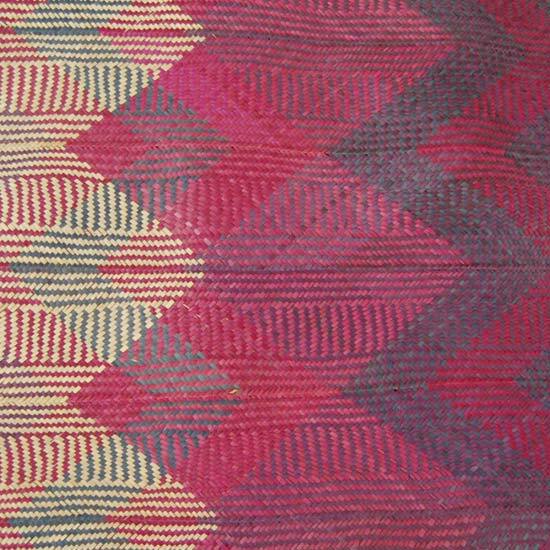 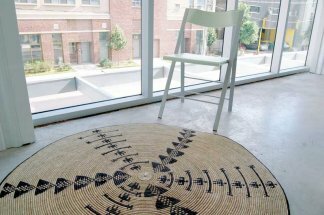 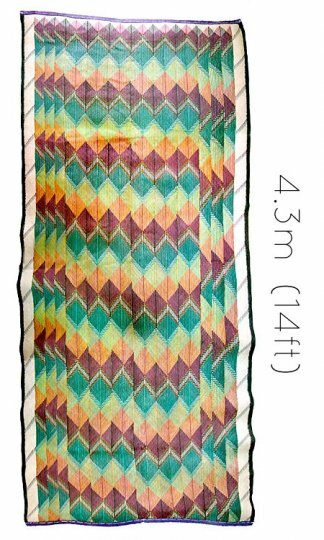 Handwoven African floor mat with bold & colorful geometric purple patterns. 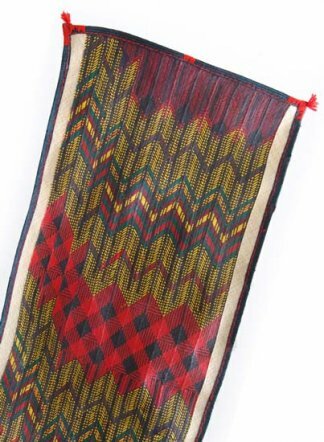 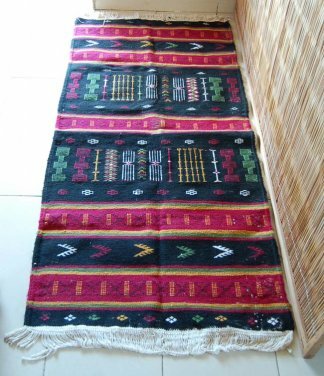 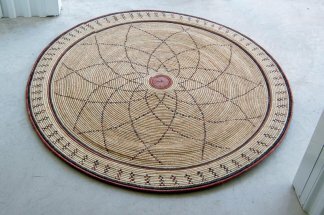 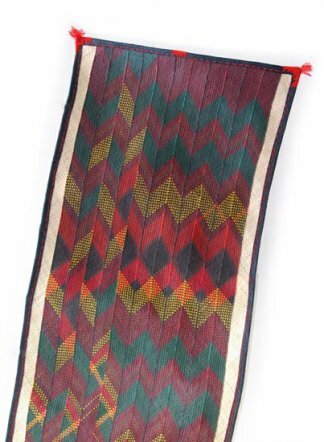 These mats, woven by local artisans, are intended for use as sitting mats in traditional wedding ceremonies and other special occasions. 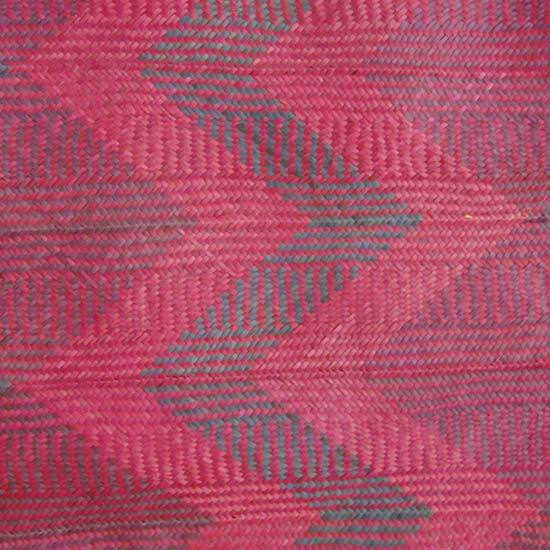 Made of natural fibers and organic vegetable dyes they age well, fading to a rustic finish. 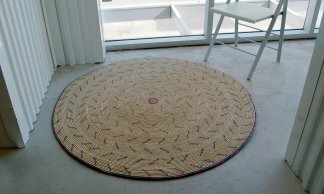 Minimize direct sunlight to slow aging process.